Gout sufferers may be able to find relief of painful symptoms by switching to a high-fat, low carbohydrate ketogenic diet. 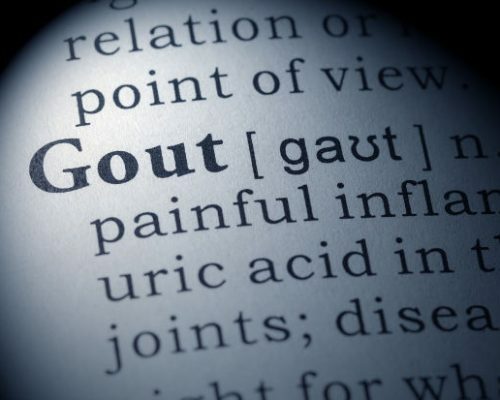 Gout affects over 8 million Americans and is characterized by pain, inflammation, and even fevers during flare-ups, all symptoms that are caused by the continuous reactivation of the immune system. When urate crystals build up in the joints, your body’s immune system triggers the activation of neutrophils—the most common immune cell, resulting in inflammation. These immune system flare-ups are driven by a protein complex known as NLRP3 inflammasome. Recent research has discovered that a component of ketones—the byproducts of fat breakdown in the liver—may work to inhibit the NLRP3 inflammasome and in turn, reduce flare-ups. Ketones also serve as an alternative metabolic fuel for the brain and heart during periods of fasting. To test whether elevating ketone levels within individuals affected by gout could help prevent flare-ups, researchers used rat models with the disease and fed them different diets. Rats who were fed a ketogenic diet composed of low-carbohydrate and high-fat meals saw an increase in ketone levels which in turn protected them from side effects of flare-ups such as joint swelling, tissue damage, and systematic inflammation. The diet has yet to be tested on humans with gout, but if these results translate across species, then switching to a ketogenic diet may be a viable treatment option for many with the disease to reduce flare-ups and the severity of associated symptoms.